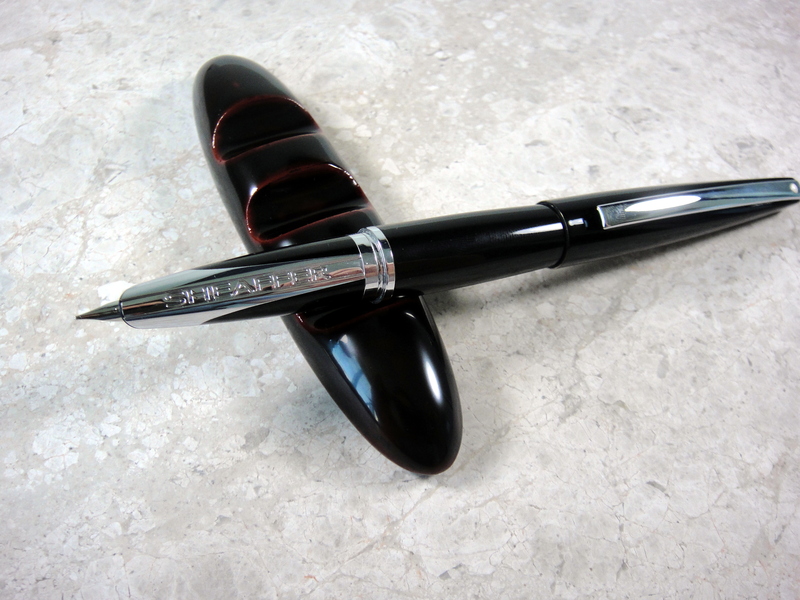 The Sheaffer Taranis is the first modern Sheaffer fountain pen I have used in a long time. 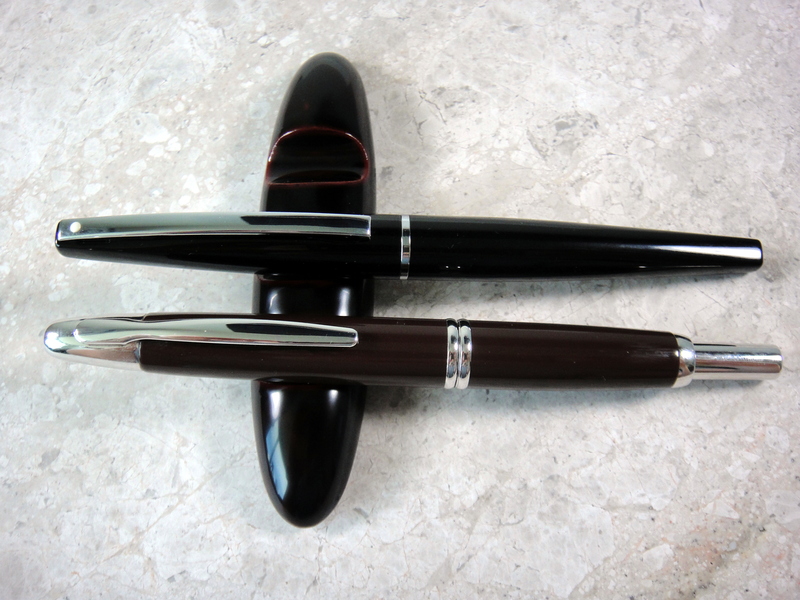 As with the Parker 51, it has been argued that Sheaffer’s vintage fountain pens are so plentiful (and consequently affordable) because in their day they were the best in the world. 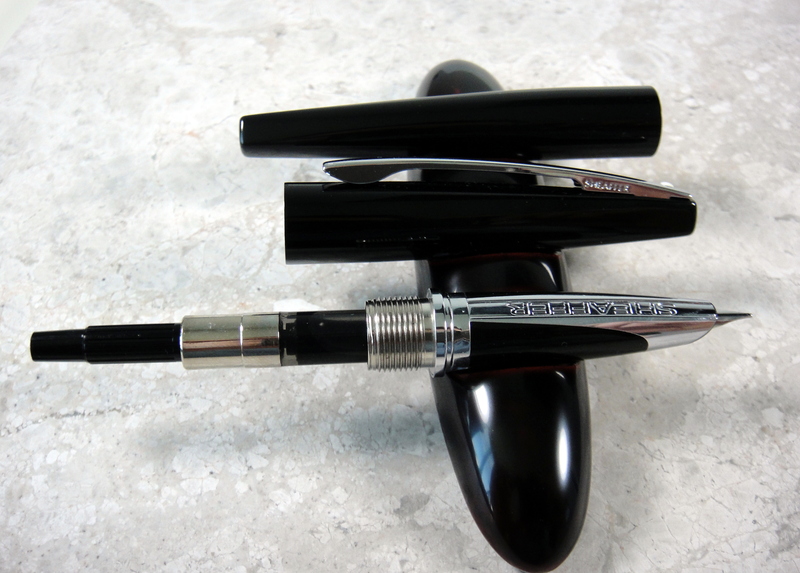 Take the Sheaffer Snorkel for example, these pens had one of the most complicated filling systems which allowed the user to fill the pen without dipping the nib in ink. 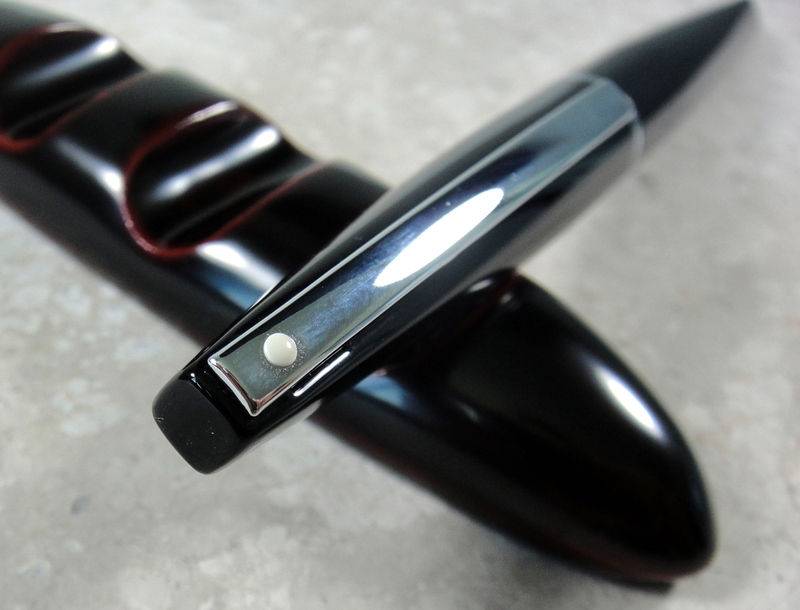 I know us Montblanc lovers rave about the telescopic filling system used in the 1950s and earlier but on engineering merits alone the Snorkel goes far and beyond. I bought my Snorkel dirt cheap and it performs beautifully. 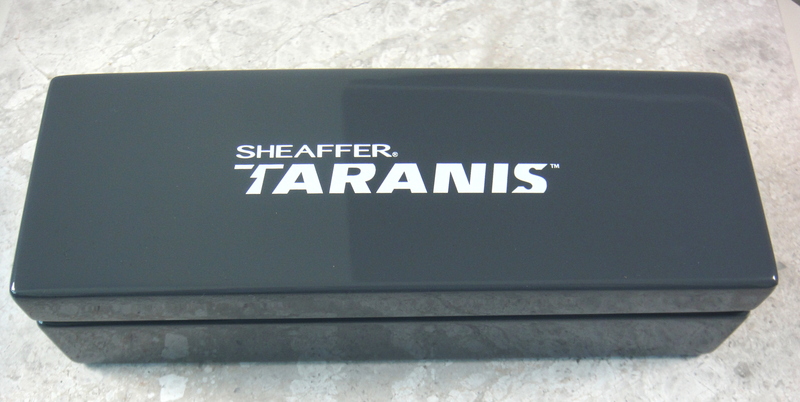 Sheaffer has dubbed the Taranis “groundbreaking” so let’s see how the it measures up. The Taranis gets its name from the Celtic god of thunder and as far as appearances go I don’t see a connection. 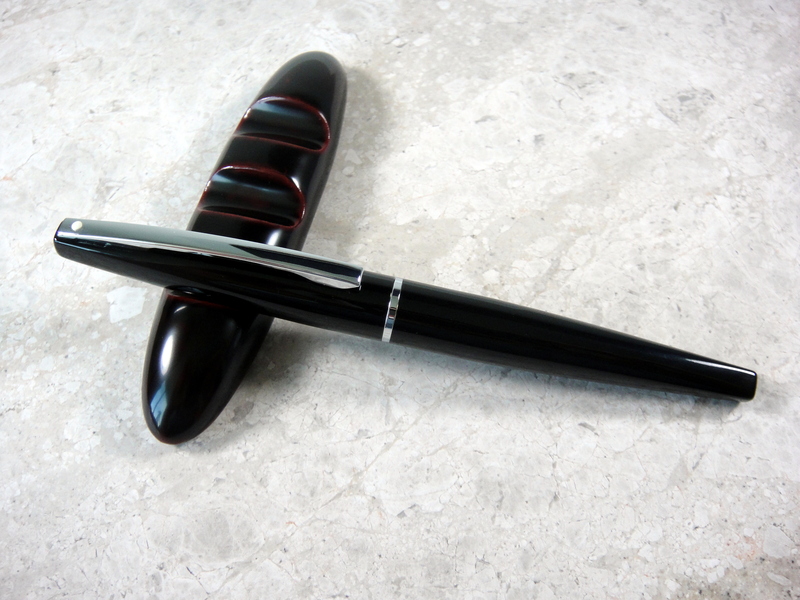 Designed by architect Charles Debbas, the Taranis’ main feature is the patent pending grip section and semi-hooded nib. 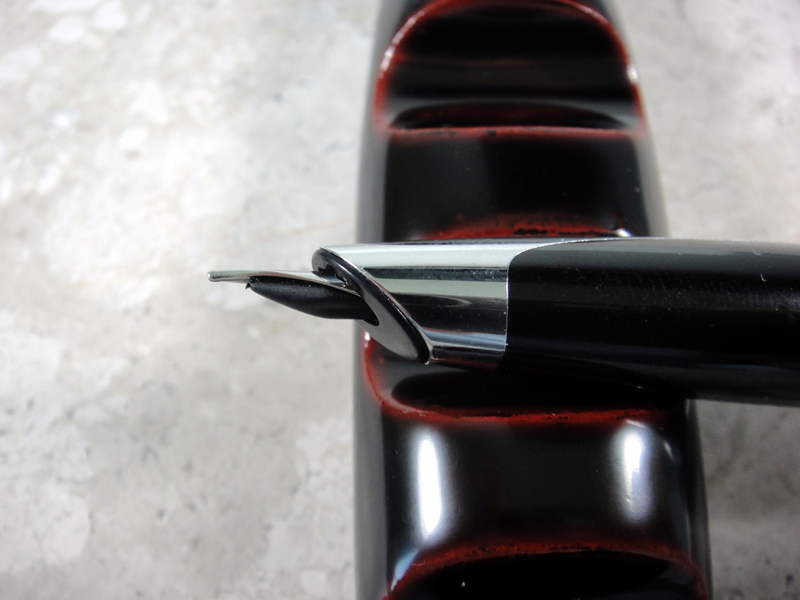 The idea behind the grip is that your fingers touch the resin parts, while the metal remains exposed such that you can see the Sheaffer name running down the section. 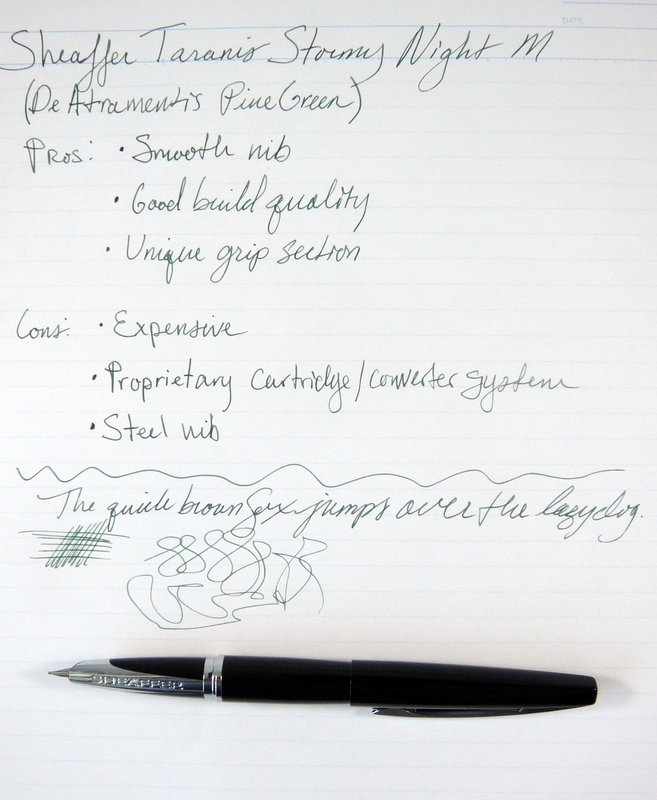 I like the design, however I have a few problems with the looks of the nib; viewed from the side, you can see that the nib really isn’t flush with the section which would be fine if the nib didn’t stick out so far, but it does. I think an inlaid nib would have looked better. The second issue I have (and perhaps this is just my problem and not the pen’s) is keeping the point in the correct position on the paper. I find that I am rotating the point away from its sweet spot and at quick glance it is not obvious; as a result, I find I am spending more brain cycles than normal trying to right its position. Comes with a large nicely branded box. 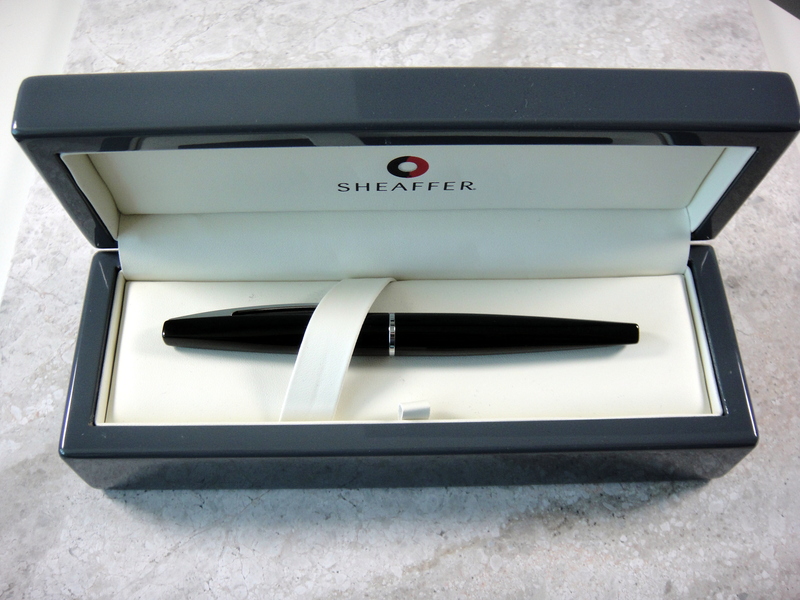 Please note: this product was provided to me at no charge by Sheaffer for review purposes. Nice review. 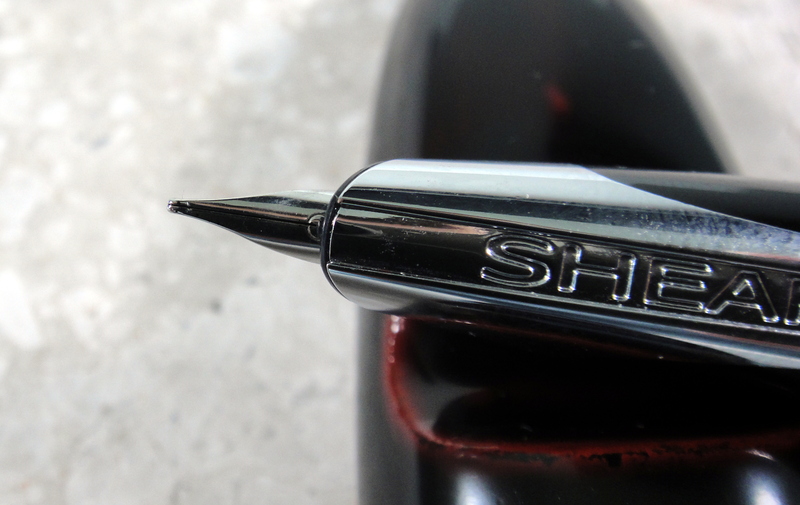 I can’t get past the brazen SHEAFFER branding on the section. It’s just too over the top for me. Thank you for the comment! Yes I agree with you it isn’t the most tasteful. A great review that has just saved me £90/$120. I have been hovering over the buy button for a Taranis for a few weeks now, and just two of your comments have helped me with my buying decision. The photo comparing a Taranis with a Vanishing Point put the size in perspective perfectly, as I own a VP. The best point of your review for me?…to find it is made in China. Just like your good self, I don’t find that an issue in itself, but, at the price they ask, that must be a monster markup for Sheaffer. Some of the best writers I own are Triumph nibbed Wing Sungs that are copies of early Sheaffers. 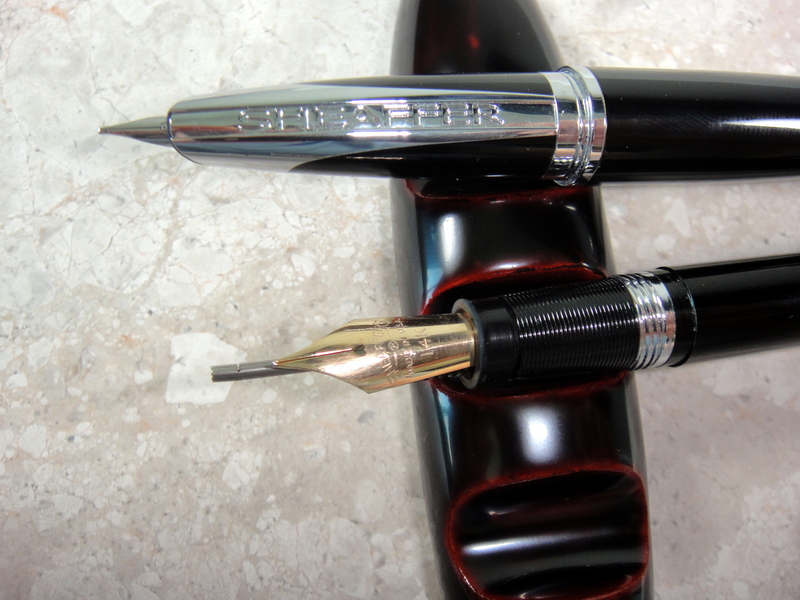 My script lends itself to fine or extra fine nibs, and every one of my my WingSungs are glassy smooth writers, I prefer them in my rotation over my two MB’s and a 3776 – and I’ve never paid more than $9/£6.50 for for any Wingsung. Comment Two… your point that the Snorkel was totally innovative, with good examples available at quite reasonable prices, was the main reason that led me to empty my shopping cart and go back into the real world than FP’ers like best, hunting down a nice example of a fine nibbed Sheaffer Snorkel, at a quarter to half the price I would pay for a Taranis. Finding a blog post like this is what fountain penning is all about, and I thank you for it. Hi Jeff, thank you for your kind comments! Good luck on your Snorkel hunt, they are really cool pens.